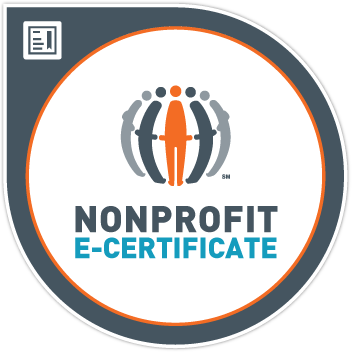 Earners of the Foundations of Nonprofit Management e-Certificate understand the history, contributions, and unique characteristics of the nonprofit sector and its management. Earners have critical knowledge about risk and crisis management and ethics and are capable of recruiting and retaining top talent in the nonprofit sector. They have demonstrated competency through assessed coursework and applied learning such as internships, consulting projects and service-learning activities.